What Exactly Google AMP Is? AMP or accelerated Mobile Pages is open source framework that is based on HTML. It can be used in creating quick and fast loading web pages for users of mobile. Its main function is to speed up your web page without letting any effect on website’s content for videos and ads. The main focus of AMP is for super-fast loading of web pages. In simple words, its main function is to show essential elements of the web page and to skip all those factors and elements that make it work slow. However, it has no direct linking with website’s rankings. This is no doubt a good start if you eventually want to improve your website ratings and bring huge traffic to your space. User engagement and highly supportive environment where there is a high probability of plenty of visitors and keeps user engagement with attractive features. What AMP have for you? On an honest note, I can’t see any cons in Google AMP. It is no doubt a friendly way of generating a good website speed and reducing the complex components. It also provides you a complete list of features that will bring good traffic and excellent web presence. Let’s see what brighter side you will experience and the minimum threat you may face while using AMP. You can still use your mobile applications if you have little internet connectivity and slow connections. 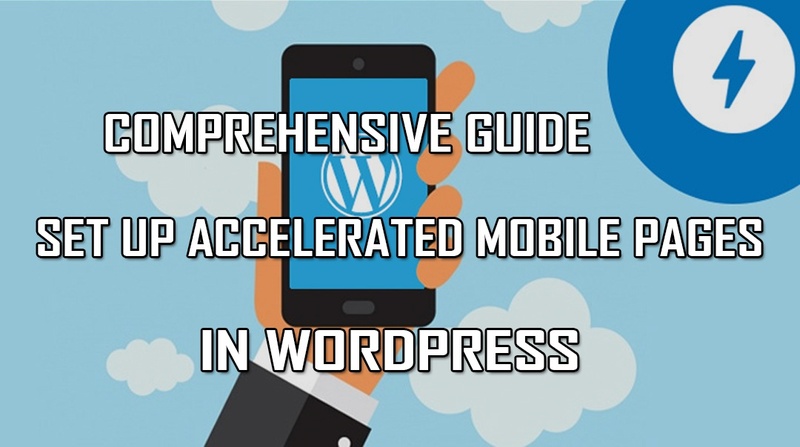 The number of mobile users is increasing that is Google AMP has an amazing effect on WordPress website. It doesn’t support Analytics platforms. The very first step is activated AMP plugin which is powered by Automattic. After this gets activated you have to move towards Appearance to see how your website will actually look when you access it from your mobile gadget. You can also look for Easy Steps to Speed Up your WordPress Site in order to avoid too much stuffing of unused plugins. With the best word press amp theme, you can change color, background or text according to your wish. The amazing part is whatever color background text you select you will see similar links on your WordPress site. Once you hit the save button you can see your post by visiting your post on WordPress site. All you need to do is to add up /amp/ at the end of your URL of the post. In this way, you will be able to show your stripped AMP version of your uploaded post. You can also go to your source code of the original post and see URL. This will also let the search engine know and all other AMP utilities about the location to look up for AMP version of pages. Go to settings -> Permalinks in your site -> Go to Admin area of WordPress and save changes. Note: Do not change anything here. You can easily check for how your Word Press AMP version should be working in Google search engine. You can use Google console for searching here. You can login to the dashboard of your searching Console and then go to -> Search Appearance -> AMP. After this, you will be able to search for your AMP data in the search engine. Here, there are chances that you won’t be able to see your AMP data. In some cases, Google takes time in order to index your website. So you need to wait for it. AMP comes with certainly limited customization. In order to make these limitations extended, you can for sure use other Word Press plugins that can allow you to add your customizations. If you are Yoast SEO user than you can activate Glue for SEO and AMP. This also adds a plugin to make Yoast SEO and AMP plugin. After you go to SEO and then AMP option and configure the plugin settings. This setting also allows you to support for different post and their types. You can also design to choose color options and other design options as well. This tab also enables you to upload your own logo and make your post well features with an image that is default header. With this Analytic tab, you can also add up your own Google Analytics ID. You can also add up your related posts, footer widget and other media icons with the help of other plugins. You can also add any of add-on plugin that you need to validate on your AMP pages. Custom Web Development Company helps you in developing professional WordPress websites with complete detailed automation and plugin integrations. If you are looking for the team of professionals that can help you with your WordPress and other software development related concerns then contact us at www.codingpixel.com. AMP is no doubt becoming the favorite topic and yet giving its users an amazing experience with an excellent web presence.